she offers FREE shipping WORLDWIDE! also if you tell her you came to her store from my site she will give you discount!! the color is very subtle but will give you the puppy eye effect and very comfortable! make sure your GEO comes with the authentic seal and the serial number! 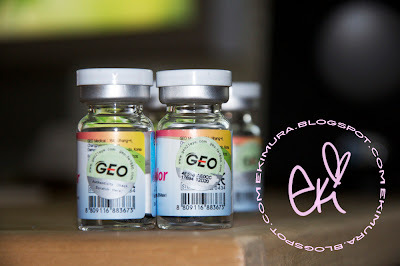 they are MANY FAKE GEO lens out there and can cause harm to your eyes! I am also wearing VOV false lashes in 212 that JoJo gave me XD they are SOO natural looking and kawaii I LOVE them!! and everyone else who tagged me THANK YOU!! 2. Scroll down to the 10th photo. 3. Post that photo and story on your blog. my mom said I looked like a monkey when I was born head full of hair and she said I drooled alot so my bib was always soaked! thnx for the tag dear ^__* you were such a cute baby! those circle lenses give your eyes a very alluring look :) I want to get some as well, how long can you wear them? omg, you were such an adorable baby. kawaii desune. Your baby pic looks adorable! Plus the VOV falsies look so natural on you- gotta put that on my list now. and u as a baby is so cute! ooh! ^-^ so gorgeous! i want to get lens soon! awwwww ur so cuuute! lovin the new contacts as well. i LOVE those circle lenses on youuuuu! I've seen a lot of people wearing circle lenses and I like them a lot. Maybe I should purchase them too, haha. Those lenses make your eyes look so pretty. I wish I could wear them. I tired once but the left one slid up behind my eye bone. Scary! And... thank you for telling people to go to the optometrist first. Very important! 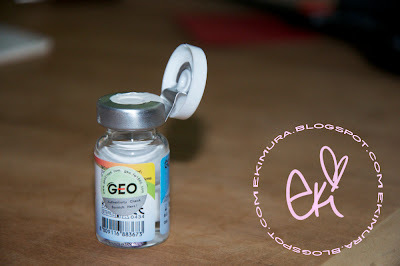 one day i will try that geo lens..
for now im still scared of sticking my fingers to my eyes..
your new creations are so cute! me wanna hug you tight! hey, it's kinda late, but i'm having my bday celebration next weekend in brooklyn park if you & your bf would like to join us. just thought it'd be fun to hang out. let me know if you're able to come...it's on the 22nd. hey babe thanks for advice!!! 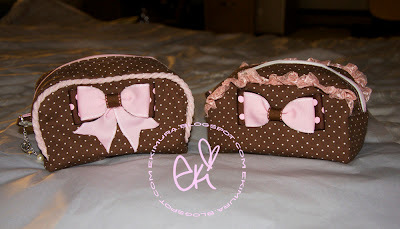 those are some cuute poka dot bags i think brown and pink is beautiful combination! When I was a baby, my mom shaved my eyebrows! (Lots of Viet ppl do it so their daughters will have more eyebrows ?_?) lol FACT! I have the Geo Angel in Violet too! I haven't opened them yet..hehe saving them for a special occasion I guess! Wow those lenses look great and so do those lashes! Looks so good on you n__n. You look so cute as a baby too haha so happy! Love the VOV falsies & ur lens color. looks great on u! the purple lenses are nice - very subtle but they define your eyes a lot! The purple lenses look really good! Omg, u were such a cute baby! :) The Geos and lashes make you look like a doll. Thanks for tagging! 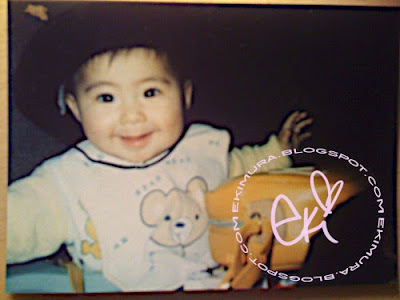 ^^ I love the baby Eki picture! My mom said the same thing about me that I was like a monkey when i was born... ^^;; haha. Hi Eki!!! :) you're so beautiful! Really stunning! You look cute with those geo lenses. ^^ I have 2 but I only can wear them 3 hours max! :( how long do you wear them? Awww Eki you were a beautiful baby!! You had the same smiling sweet sparkly eyes then as you do now!! So KAWAII!! And gorgeous in the purple lenses! Wish I could wear those types of contacts but I'm too blind. Cute new bags!! Brown & pink is such a cute combo!! awww! how beautiful your pouches and dotty bows! Polka dots are my weaknesses as so as combination of pink and brown love it!